This week's prompt is to share what's cooking. The truth is this photo is from a recipe I made a while back and shared here. These are the cinnamon brioche rolls just before they go into the oven. I haven't made them in a long time but will be doing so again for Christmas breakfast during our vacation. My middle son often requests them and I want to give him his treat for the holidays. What has actually been cooking lately in my kitchen are Christmas cookies. I went to my first Christmas cookie exchange party last weekend and snapped this photo of the table of goodies which I shared via Instagram. There were dark chocolate snowflakes, pecan butter balls, linzer jam cookies, Oreo bon bons and more. 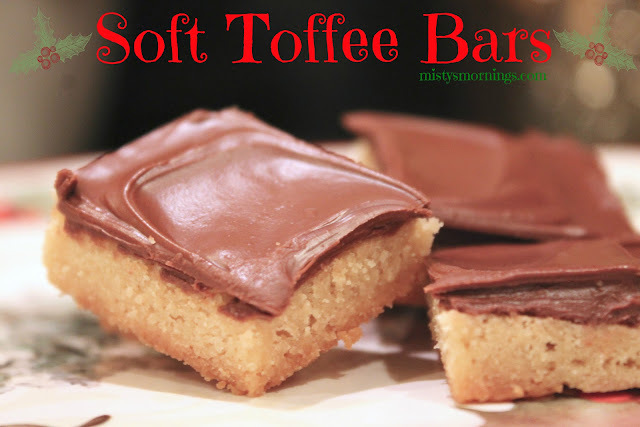 I brought our family's classic soft toffee bars which I plan to post here to the blog sometime in the next week. They are so easy and always a hit. Keep an eye out! That does look like a delicious Christmas dessert table! Advent Blessings to you! Please DO post the toffee recipe if you think of it- I was just thinking yesterday that I wanted to try a new toffee recipe! That is some impressive display of cookies! I've never been to a cookie exchange. 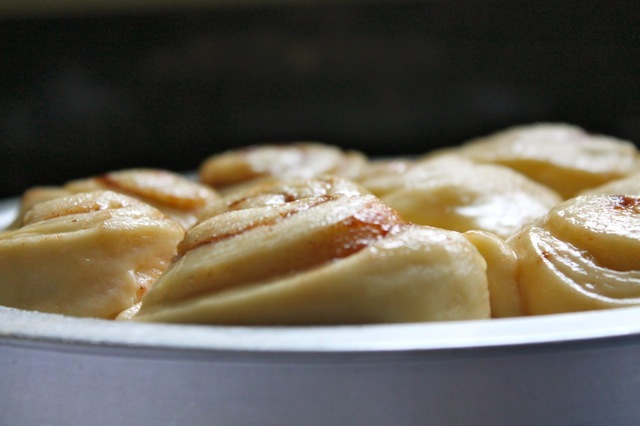 Your cinnamon buns look delicious. Misty - both photos are mouth-watering! Such delicious beauty you've captured!